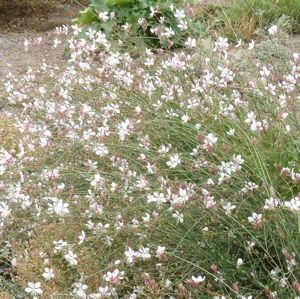 Gaura has long graceful spikes of pinkish or white blooms float on the breeze from mid-summer to fall. Long-blooming, dramatic, easy. Height x Width: 4 ft. x 4 ft.